This spring, veteran vocalist Gregg Martinez will release his latest full-length album. 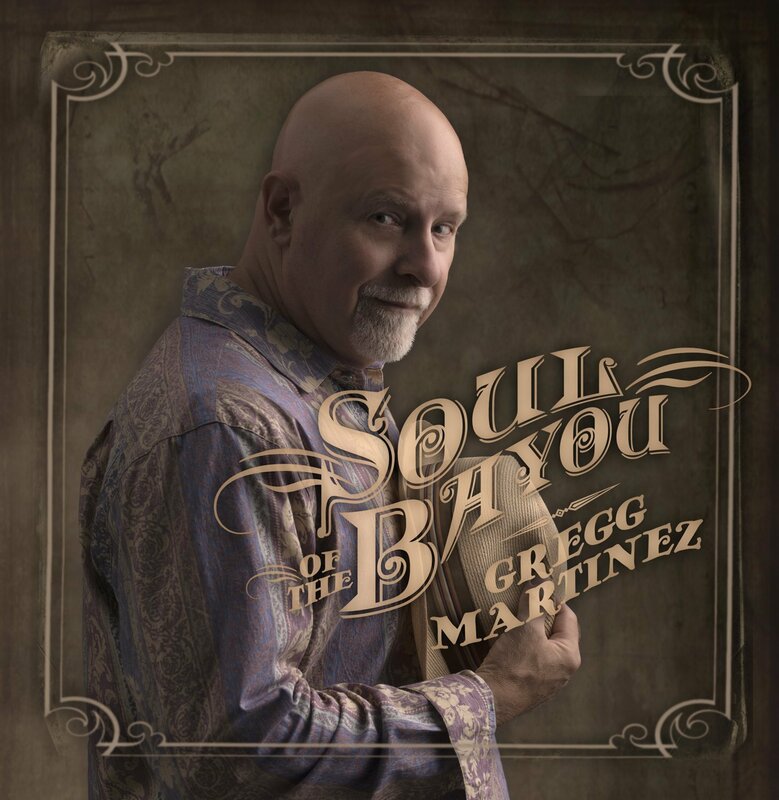 Soul of the Bayou, Martinez’s eleventh full-length studio offering, will be released Friday, April 15th via Louisiana Red Hot Records. The album boasts a variety of topics and sounds throughout the course of its ten-song body including: The funky soul-driven ‘I Can’t Stan The Rain,’ and ‘If You Want Me To Stay,’ and the much more reserved and emotional ‘Who’s Loving You’ and ‘You’ve Got To Hurt Before You Heal’ just to name a handful of songs. There is also a cover of legendary tenor Johnny Adams’ ‘I Wish I’d Never Loved You At All’ included in the album’s body. The album’s complete song list is noted below. Martinez is currently touring in support of Soul of the Bayou ahead of its upcoming release. He will be live at the Rock N Bowl in New Orleans, LA this Wednesday, March 2nd before heading to Broussard, LA this Friday, March 4th. Martinez’s current tour schedule also includes a performance at the annual New Orleans Jazz Fest on Sunday, May 1st in New Orleans, LA. Martinez’s current tour schedule is listed below. World renowned musical icon Yanni will release his latest live recording this summer. 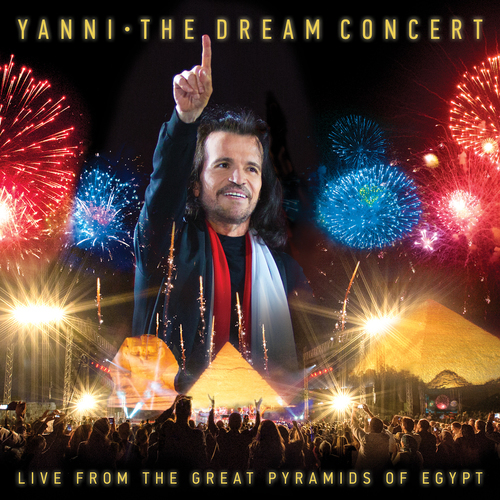 Yanni: The Dream Concert Live From The Great Pyramids of Egypt will be released this Friday, June 3rd. The concert will be available in stores and online on CD/DVD combo pack and standalone Blu-ray platform. It will be released via Portrait/Sony Masterworks and will be available for Pre-order this Friday, March 4th. It will air on PBS stations nationwide this Saturday, March 5th ahead of its worldwide release. Audiences can check local listings for the program’s airtime on their PBS affiliate at http://www.pbs.org/. PBS and PBS Distribution have announced they will release another new episode of PBS’ hit wildlife series Nature next month. 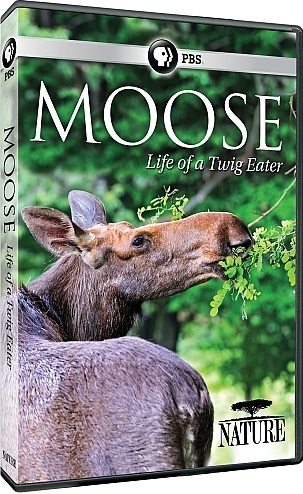 Nature: Moose – Life of a Twig Eater will be released Tuesday, March 22nd. The hour-long program will be available exclusively on DVD and will retail for MSRP of $24.99. It follows cameraman and naturalist Hugo Kitching as he spends a year in the wilderness with moose populations. He does so in order to try and uncover the source of an uncommonly high mortality rate among juvenile moose. His time is spent largely in Jasper National Park in Alberta, Canada. Along with his work following a young mother moose and its calf, the program also covers work being done in Grand Portage, MN where the moose population has declined by some sixty-four percent since 1990. Viewers will see researchers capture young calves just long enough to collect blood samples and put tracking collars on them so as to get answers about their population decline. Current results have shown that brainworm and winter ticks are two of the leading causes behind the decline. There are other causes that are discussed at more length in the program. Audiences can view a trailer for this episode of Nature online now via YouTube at https://www.youtube.com/watch?v=SlQbZni5Mww. Five Finger Death Punch has released its latest video. And it is one of that audiences will not forget. Five Finger Death Punch has teamed up with Vevo to debut the video for its latest single ‘My Nemesis.’ The song is taken from the band’s latest album Got Your Six. The video follows two teenagers in two very different situations who are ultimately brought together after leaving their homes. The pair eventually ends up separating at the video’s end. But their journeys are the most gripping part of the video’s story. Their stories are meant to illustrate the difficult situations that so many people face every day. Directed by Nick Peterson the video depicts imagery that some audiences might find unsettling. While that is the intent in the video viewer discretion is still advised. It is not the first time that Peterson has teamed up with 5FDP. Peterson also directed the band’s videos for ‘Wrong Side of Heaven’ and ‘Coming Down.’ Audiences can view the video for ‘My Nemesis’ online now via Vevo at http://www.vevo.com/watch/US5Z51500662?syndicationid=bb8a16ab-1279-4f17-969b-1dba5eb60eda&shortlink=j171aL&country=US. In conjunction with the video’s premiere, 5FDP is encouraging fans to share their own “Nemesis” on Facebook, Twitter, and Instagram by completing the phrase #MyNemesis is _________ and I will #OVERCOME. Fans can share their nemesis by searching the hashtags #MyNemesis and #OVERCOME. The band is encouraging fans to share their own stories with one another and with the band as a means to build strength and a sense of community among its fans. Fans can go online now to see all of the current fan responses and are encouraged to share their own stories. 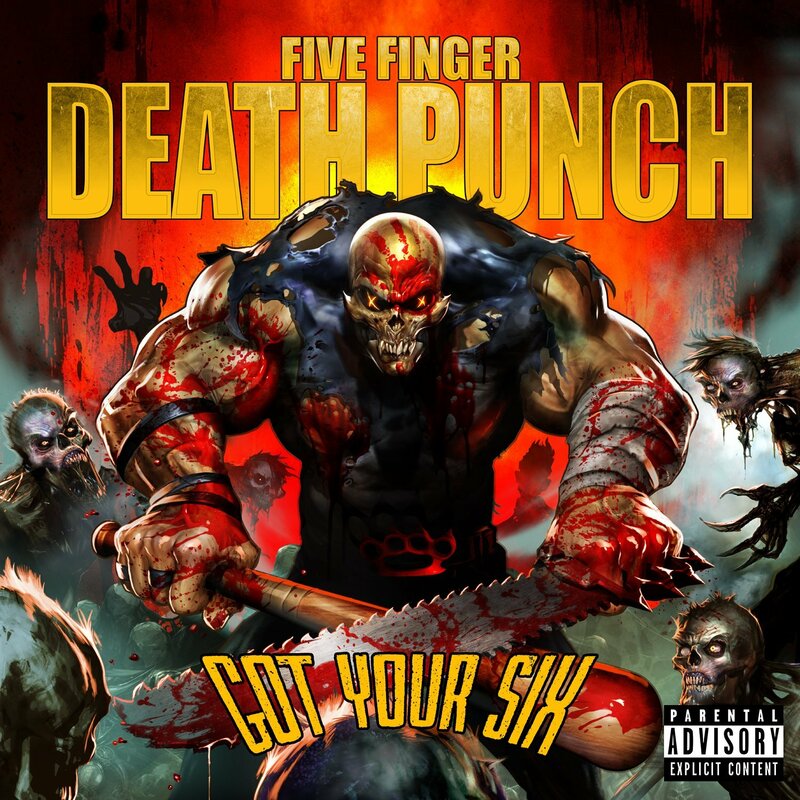 Five Finger Death Punch will hit the road this spring in support of Got Your Six beginning April 15th in Perth, Australia. The band will also join Shinedown for a handful of co-headlining dates on its upcoming tour. There will also be dates with Black Sabbath, early in the band’s schedule. 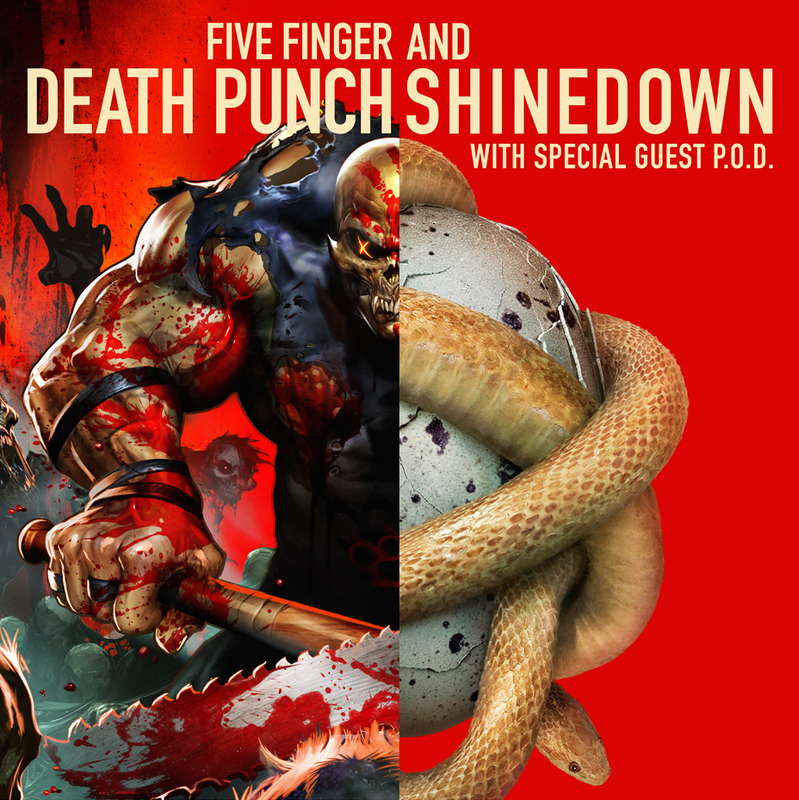 Ticketing an VIP info for the tour is available online now via the band’s official website at http://www.fivefingerdeathpunch.com. The band’s full upcoming tour schedule is noted below. The envelopes have all been opened, the statues handed out, and the champagne poured. Now that Hollywood’s biggest night has come and gone yet again audiences will be waiting for all of the winning movies to come home. One of those movies, Room, is available now. Lionsgate has announced that its Academy Award ®–winning movie is available now on DVD + Digital combo pack and Blu-ray + Digital HD combo pack. Lead actress Brie Larson won the Oscar for Actress In A Lead Role for her portrayal of the movie’s lead character Ma at this year’s Oscars. She also took home the Golden Globe in the same category for her role in the drama. The movie follows Larson and her young co-star Jacob Tremblay (The Smurfs 2) as they attempt to escape their captivity in a 10-by-10 foot room. This comes only as Jack (Tremblay) becomes more aware of the situation in which he and his mother are stuck. The outcome of the pair’s efforts reveals its own gripping story. Along with its central presentation Room’s home release also features a number of bonus features including but not limited to: commentary, making of featurette, and behind the scenes featurette. The complete list of the movie’s bonus features is noted below. 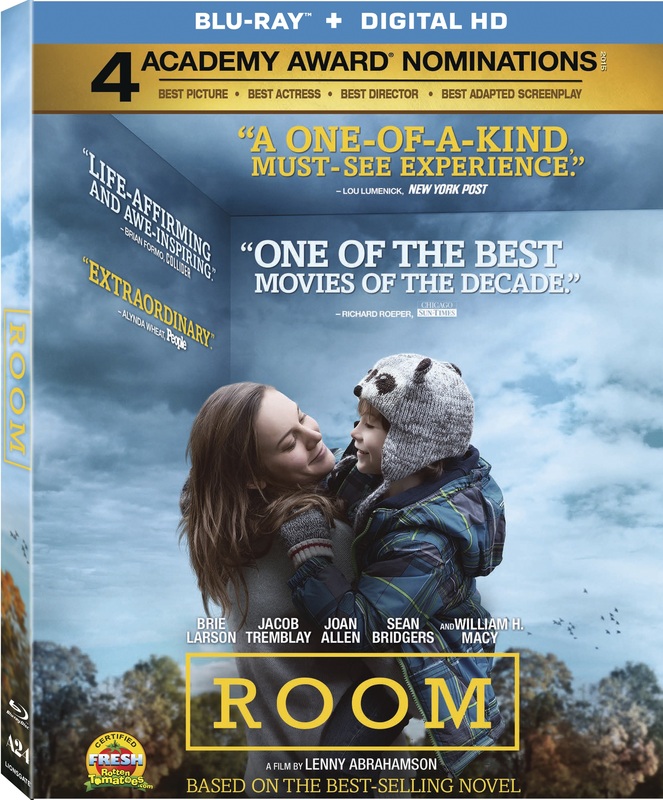 Room is available now on DVD + Digital combo pack and Blu-ray + Digital HD combo pack. Audiences can view a trailer for the movie online now via YouTube at https://www.youtube.com/watch?v=ACPt_8RYp4s&feature=youtu.be. Late last year American’s Test Kitchen and Cook’s Country host Christopher Kimball abruptly left the long-running cooking shows after contract talks apparently broke down. Kimball’s departure came as quite a shock to the shows’ loyal fan bases. His departure from the shows left both of their fates in limbo. And now news has come out that the wait for new episodes won’t end anytime soon. As a matter of fact, it looks like fans of the hit cooking shows will have to wait until sometime in 2017 to find out what the next step will be for both programs. Though, word has it that the shows’ new host (or potentially hosts god forbid) will be announced soon. Regardless, audiences will have a long wait before they see the outcome of those decisions as new episodes won’t air until at least some time in 2017. Thankfully PBS and PBS Distribution have given fans something to be happy about while they wait. PBS and PBS Distribution released the eighth season of Cook’s Country late last year not long after Kimball announced his departure from the series. Being that whole seasons are recorded at a time, one can only hope that Season 8 won’t be the last with Kimball at the helm and that at least a ninth season will be released with everyone’s favorite celebrity cook. Even if it is, then it can be said of Season 8 that it is yet another delectable dish of a season for cooks of all kinds. This is proven primarily through its primary cooking segments. Once again, the dishes and Kimball’s cooks are the real stars, not Kimball. He remains more the emcee of sorts. The educational content that has made them so enjoyable is there, too. It’s just the tip of the iceberg that makes this season so enjoyable for audiences. The taste tests and product test segments that are tied into each episode are just as important to the season’s presentation as the show’s main cooking segments. That is because they present their own serious, educational content as the cooking segments once again. The overall structure of each episode rounds out the season’s most important elements. This includes the transitions between the segments. Whether it is for the cooking segments, the taste tests, or even for the product testing segments, all three segments play their own important part in the whole of Cook’s Country: Season 8. Altogether, they make for one more season of Cook’s Country that any seasoned foodie or freshman cook will enjoy. The eighth season of PBS’ hit cooking series Cook’s Country is yet another season that both the most *ahem* seasoned (bad pun fully intended) cook and even the most novice will enjoy. The main reason for this is the same reason that the series has been so successful over the course of its past seven seasons—its central cooking segments. Just as with the series’ previous seasons Kimball maintains more of an emcee position in the show than the center. That is something that he had done throughout the course of the show’s previous seven seasons. He allowed his fellow cooks and their featured dishes to be the stars of the show, stepping in only to present the show’s educational content before and during each segment. In regards to that content, audiences will once again be just as impressed with that aspect. Audiences learn in the episode featuring Latin Fried Chicken that allegedly the practice of deep-frying food actually started in Africa. And in learning how to make Dakota Peach Kuchen (koo-ken), which is essentially a special kind of coffee cake (that looks really tasty by the way) that it originated in Europe. There is also an interesting revelation about Chow Mein in the season finale episode that most frozen and restaurant-made Chow Mein is not genuine Chow Mein. Even this critic was amazed to learn a very important aspect of making home-made sweet potato pie in this season. It turns out that home-made sweet potato pie will have a little bit of “jiggle” in the middle when it is done. That just means that it is time to let it set once it’s done cooking. It’s good to know that for the next time this critic (or anyone else out there) sets out to make their own home-made sweet potato pie. It’s just one more way in which the educational content presented through this season makes it yet another mouth-watering must have for cooks of all kinds. Of course it is just one part of the cooking segments that make them so enjoyable. The dishes themselves should not be ignored in their own importance. The educational content presented within each of Season 8’s episodes is in itself more than enough reason for audiences to watch this season now that it’s available on DVD. Its inclusion is just one part of what has made the series such a hit over the course of its past seven seasons and has set it so clearly apart from the forgettable fare offered on Food Network and other channels. The dishes themselves are just as important as the educational content that is presented along with each dish. Being that spring and summer are just around the corner, this season offers lots of dishes that are perfect for anyone anxious to light up those grills. They include but are not limited to: Smoked Bourbon Chicken, Barbecue Burnt Ends, Grilled Salmon Steaks with Lemon-Caper Sauce, and Grill Roasted Peppers. For those busy families, the Chicken Chow Mein is a quick, easy weeknight dish and is worlds better than that frozen stuff or the restaurant-made stuff. For those relaxing weekend mornings, the Dakota Peach Kuchen is a great dish alongside a cup of coffee. And as the weather warms up there are going to be plenty of church luncheons and other get-togethers. For those events, the Smoky Potato Salad is a nice twist on a classic side dish. The Muffin Tin doughnuts are a great treat for any family with kids in the house especially on those weekend mornings. Whether one picks that recipe or any of the others featured throughout this season of Cook’s Country it can be said of this season that it presents plenty of dishes for every night of the week and for cooks of any kind for that matter. Together with the educational content presented in each episode, it can be said that the noted content and the dishes themselves combine to make Cook’s Country: Season 8 yet another delectable dish of a season for cooks of all kinds. The dishes that are presented throughout the eighth season of Cook’s Country are in themselves more than enough reason for foodies and cooks alike to order this season. That is thanks to the presentation of the dishes themselves and the educational content that comes along with each dish. Of course it should be noted that also as with the series’ previous seasons each of the presented dishes each comes with its own printable recipe as a bonus for audiences. Of course all of that aside, it is not the only reason that this season of Cook’s Country is so enjoyable. The taste test segments and product testing segments are just as important to this season as the primary cooking segments. Audiences will be pleased to see that the taste test segments feature both familiar products and some with which they might not be so familiar throughout the season. The more familiar products include but are not limited to: Frozen pizza, store-bought lemonade, and grapefruit juice just to name a few. And that is just in the season’s first disc. Disc Two features taste tests of frozen dinner rolls, corn tortillas, and even something as simple as bread crumbs (croutons). The less familiar items tested include peach jam and green salsa. Audiences that watch these segments might find themselves at which products prove to be the winners and losers. One of the biggest surprises was the winner in the test of different grapefruit juices. And the process used to test the corn tortillas was interesting. They apparently didn’t just taste the tortillas. It is noted that the tortillas were used with enchiladas as part of the taste test here. Again the ultimate winner is interesting in its own right especially when comparing it to the other featured products in said test. There is just as much surprise in the tests for the frozen pizza and store-bought lemonade. Regardless of which segments audiences themselves pick as the season’s best it can be said of each segment that there is something, again, for everybody. They aren’t just some snooty foodie taste tests. They are tests of products with which most audiences are familiar. Just as with the featured dishes they serve to make this season that much more relatable to viewers and in turn that much more enjoyable. The taste test segments that are incorporated into this season of Cook’s Country are wonderful seasoning (yes, another intentional and horrible pun) for this standout series. As much as they do to once again enhance the series it would be unfair to not note the equipment tests that are included throughout the season. There is a test of various slow cookers, which results in quite the eye-opening revelation for anyone that is a fan of this cooking method. For all the grillers there is a test of different spatulas that will interest those cooks. There is even a test of various dish detergents that yields its own interesting results. The manner in which the detergents were tested is just as interesting as the results. These are just some of the products that are presented this season. There are also tests of tortilla holders, and fittingly single-serve coffee makers. Audiences will laugh as Kimball reveals that even despite America’s infatuation with these products he still prefers drip coffee versus the more high-priced stuff. No surprise that Keurig was the winner with its Cuisinart single-serve coffee maker. It is not exactly the cheapest price wise. But it won largely on its water reservoir. Getting back on track, the equipment that is tested this season and the products tasted add even more flavor (yes, that terrible pun was intended, too) to the season’s run. Together with the featured dishes all three elements make the eighth season of Cook’s Country even more mouth-watering for foodies and cooks alike. They still are not the only remaining elements that are worth noting in examining this season of Cook’s Country. The overall presentation of each episode is just as important as the previously noted elements. The dishes that are featured throughout the eighth season of Cook’s Country are in themselves plenty of reason for fans of this long-running series to purchase this season. The product and equipment tests that are included in each episode partner with the cooking segments to make each segment enjoyable in its own right. While all three elements go a long way toward making Season 8 enjoyable they are not the season’s only notable elements. The overall presentation of each episode rounds out Season 8’s presentation. Once again each episode is expertly segmented. The transitions that are used to note time passage in cooking times are smooth and gentle versus the rather abrupt transitions used by so many other cooking shows. They also present beautiful countryside scenes to boot. The transitions between the main cooking segments and testing segments are just as smooth. Sometimes Kimball makes a direct note of the transitions while in other moments the transitions are not as direct. Even in the less direct transitions those behind the cameras made sure to make them as fluid as possible thus maintaining viewers’ engagement. Those transitions from one segment to the next and back makes the overall presentation of each episode solid, ensuring that audiences will be left wanting more, their mouths watering by each episode’s finale. That is the proverbial cherry on top of this delectable dish of a season from Cook’s Country. 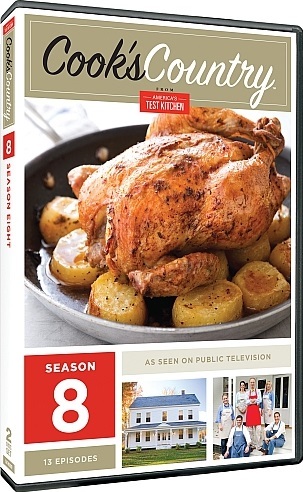 It rounds out the season’s presentation and together shows once more why Cook’s Country: Season 8 is a must have for any foodie and even for cooks of all kinds. 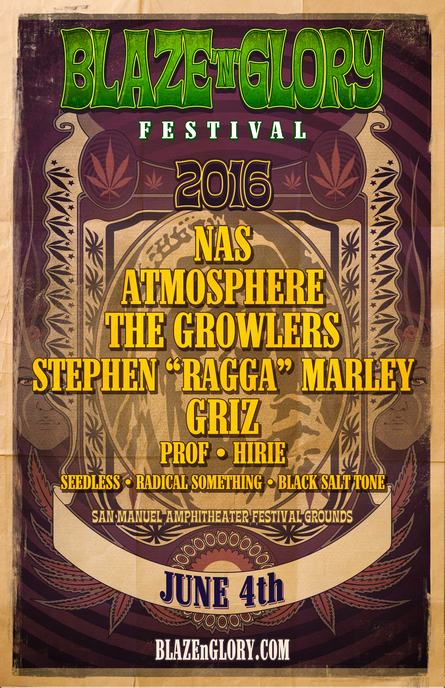 The Blaze ‘N’ Glory Festival is returning this summer. And in honor of the festival’s return Phil’s Picks is giving one person the chance to see the festival for free.